The thimble jellyfish is the half-inch long and is found in the north Atlantic, Arctic and northern Pacific coastal waters during spring and early summer. 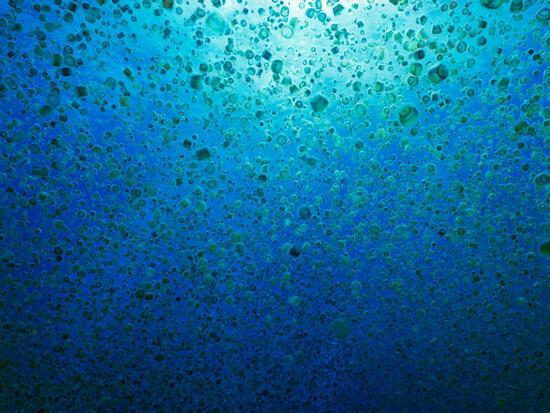 It has four tentacles, that are covered with the usual nematocysts that discharge the toxins. This jellyfish is known to feed on crustacean plankton and barnacle larvae. It swims intermittently and then holds still with its tentacles extended. A passing prey is captured when it comes in contact with its tentacles. The toxins in the tentacles will immobilize the small prey and they will bend inwards to take the prey to the mouth where it is ingested and digested. The sting of the thimble jellyfish is not deadlybut will usually cause a burning and itching. 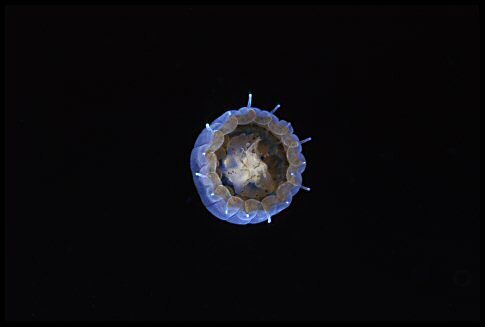 The thimble jelly is also hard to detect, but actually it is the larvae of this jellyfish that causes the main problem to bathers in the Caribbean. These larvae are often refereed to as sea lice, and cause a lot of painful rash, called the “seabather’s eruption” on the victim. They are very tiny and you wont know that you have been affected until the rash appears. These tiny jellyfish usually will get caught in between the swim suit and the skin of the person. The parts that get rubbed will get the most infestations, like the inner thighs, armpits, neck and so on. StingMate provides very effective relief on the rash discomfort. Thimbles are usually found in blooms.. This entry was posted in 5% acetic acid/Vinegar on jelly stings, Blue jellyfish Japan, Box jellyfish, Cannonball jellyfish, crown jellyfish, florida-jellyfish-portuguese-man-of-war-florida-beaches-long-island-beaches-hawaii-waikki-oahu-guam-austalia-stingersmauve-jellyfis-pelagia-nortiluca-black-sea-nettles-stingrays-sport-fi, Irukandji, jellyfish, jellyfish species, jellyfish sting first aid, Jellyfish sting remedy, jellyfish stings, Jellyfish stings, vinegar, acetic acid, Lion's mane jellyfish, Man of War, marine sting first aids, marine stings, mushroom cap jellyfish, Pacifici coast sea nettles, Pelagia Nortiluca, Sand jellyfish, sea nettles, StingMate, Uncategorized, Vinegar on Jellyfish stings. Bookmark the permalink.